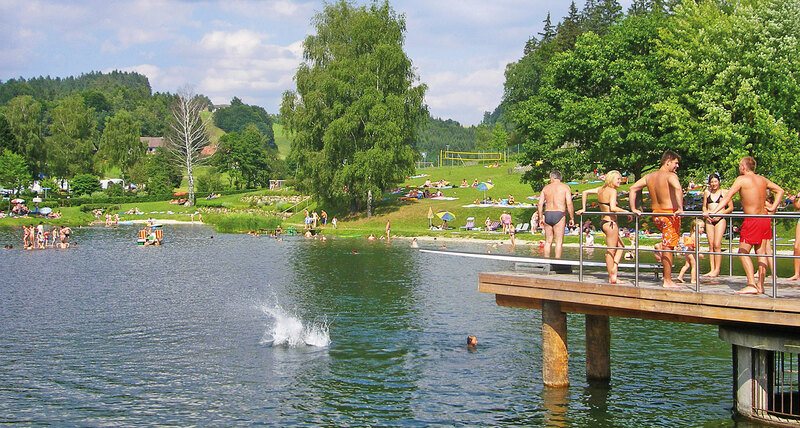 Directly on our doorstep lies the natural swimming lake Rechberg. The idyllic location and the best water quality invite you to relax and unwind. For a change provide jetty, diving board and raft. But not only for swimming, the lake is ideal. A trip by pedal boat or surfbike makes a trip to the Rechberg bathing lake an experience. For sporty people there is a beach volleyball court with fine sand at the bathing lake. On warm summer evenings, a diverse cultural program with concerts or open-air cinema takes place. 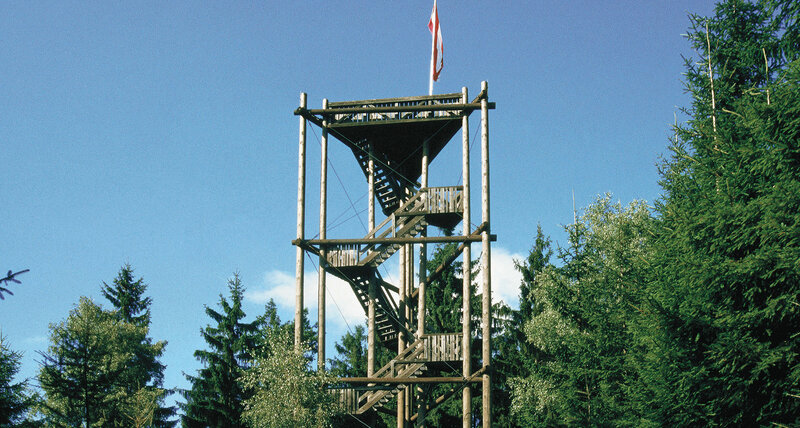 The Nature Park Mühlviertel extends over the 4 municipalities – Rechberg, St. Thomas, Allerheiligen and Bad Zell – on an area of 1046 ha. 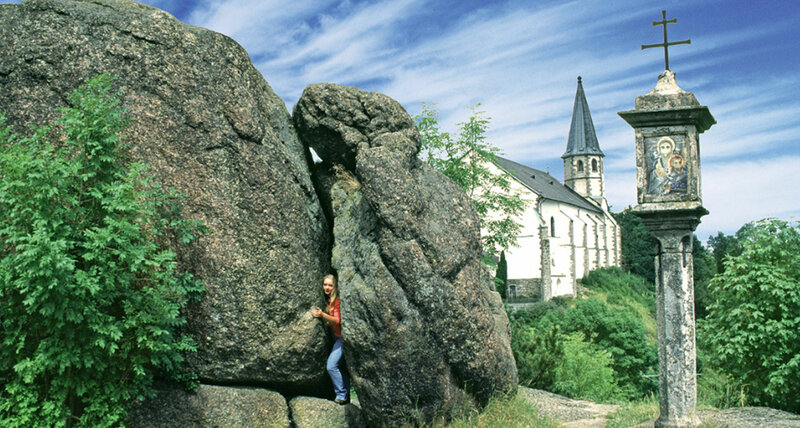 Conspicuous rock forms, boulders, rocking stones in connection with meadows, bushes and trees make up the special charm of the nature park. 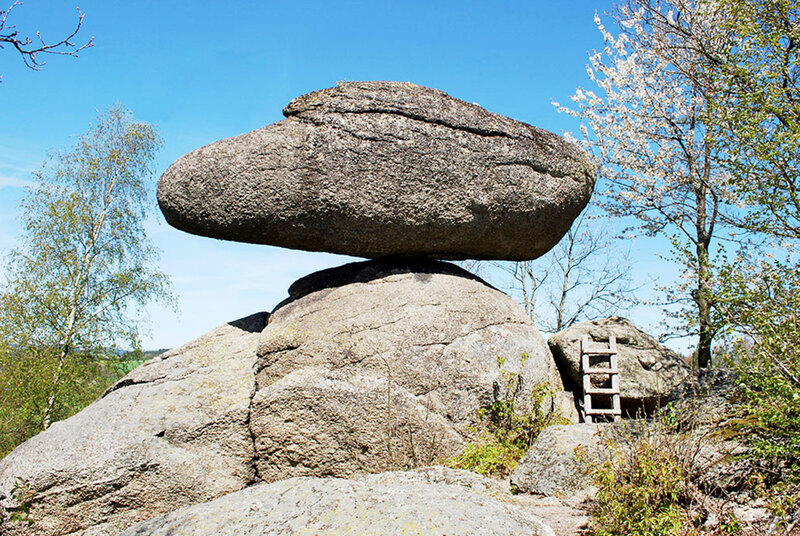 The imposing “Schwammerling”, a real Wackelstein („moveable“ boulder) is the trademark of the Mühlviertel Nature Park. In an incomparable way, the granite also influenced the construction of the farm buildings. The most impressive example of this is the Großdöllnerhof. A 400-year-old, thatched three-way farm. It houses the peasant museum, interesting exhibits and a herb garden. The extensive hiking trail system leads to the most beautiful places in the nature park: with almost 200 km of total length, 29 hiking trails lead through the beautiful natural landscape. 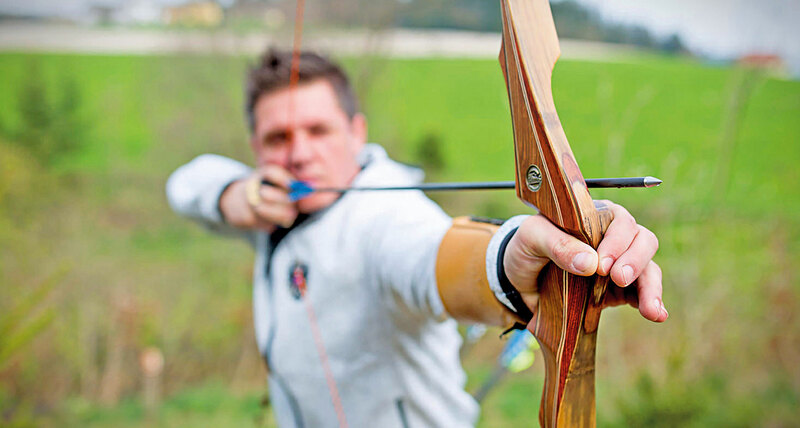 Discover the region and make a pilgrimage on the 84 km long Johannesweg. 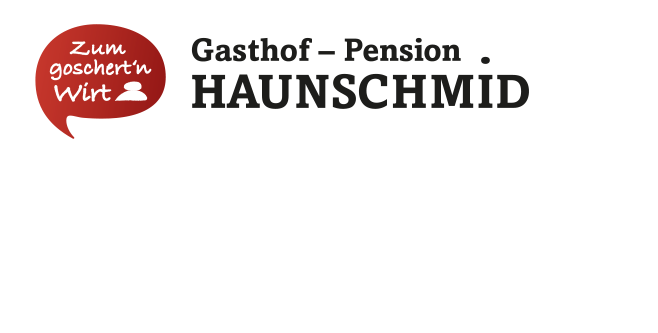 A hike in the nature park Mühlviertel, past the Schwammerling, opens up the primeval landscape of the lower Mühlviertel in a particularly gentle way. Experience exciting hiking tours with our trained nature park guides. Our house is the ideal starting and ending point. 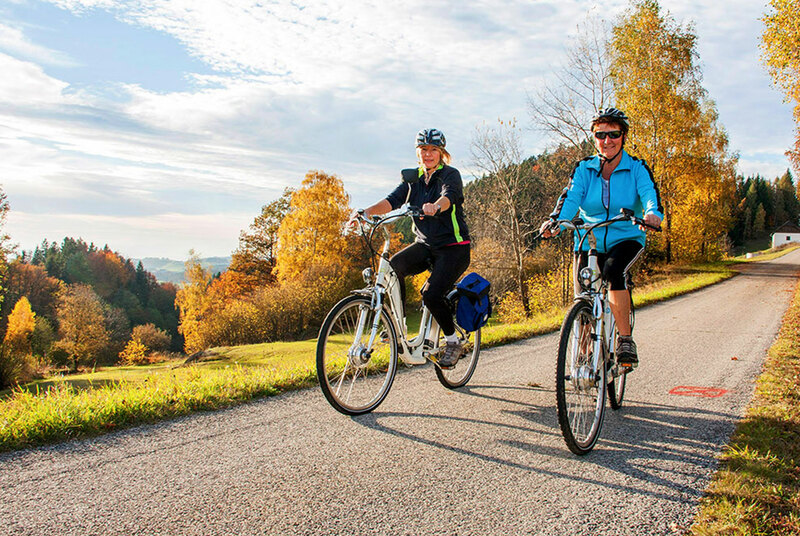 The region has a dense network of cycling routes of varying degrees of difficulty. One of the most interesting routes, especially for e-bikes, leads on a total length of approx. 56 km to the most beautiful places and special features in the nature park. The bike map is available free of charge from us. 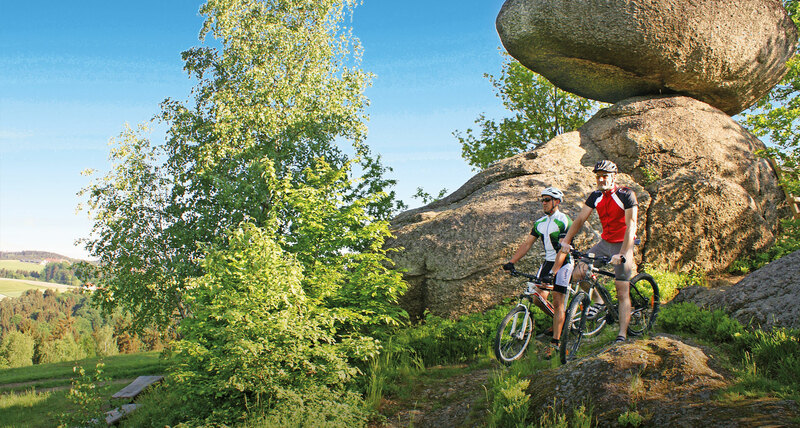 Furthermore, we are also the perfect starting point for challenging mountain bike tours such as the ÖAMTC mountain bike route or the “Tour de Ålm”. 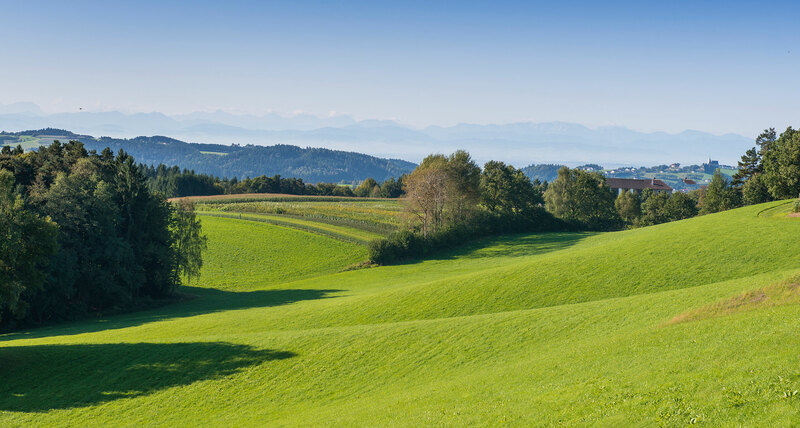 Discover the Mühlviertel in a new way, high on horseback along the extensive bridle path network. The granite highlands with its rolling hills, dense forests and lush meadows is a true paradise for horse and rider. During trail riding, you will discover the diverse landscape and the extensive bridle path network Mühlviertler-Alm on winding paths. Cross-country skiing is the winter endurance sport par excellence. If the pleasure of the lanscape is completed by the sporty effect, then there is nothing to stand in the way of a perfect day. Enjoy our typical Mühlviertel landscape in winter on our well-prepared cross-country skiing trails through the nature park communities. A “cool” winter fun on the ice: the Rechberg bathing lake offers in the winter months a wonderful ice rink and the best conditions for skaters and curling riflemen. A beautiful day on the natural ice for the whole family!